Silentone™ Fire & Security Alarm sounders are specifically designed for use in laboratory animal housing and other areas. These alarms function and can be routinely tested with little effect to animals, which have a different hearing range from that of humans. 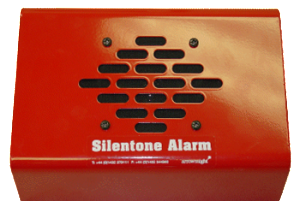 The Silentone™ alarm sounders are quality electronic signaling devices offering a clear dependable evacuation signal for perception by humans. Widely installed at animal facilities throughout the world, Silentone™ alarms are the recommended standard for fire and building authorities. The units are designed for use in new construction, retro-fit projects and conventional situations. 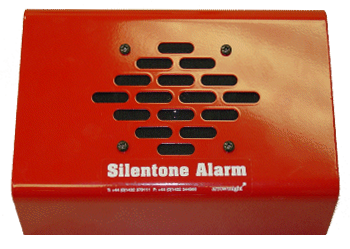 The Silentone™ is installed as an alarm for fire, smoke and unauthorized entry notification.